A closer look at some significant stone structures … and the most mysterious! 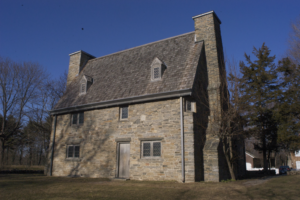 Like countless other people throughout the world, early Americans recognized the value of building in stone. It was a natural choice for not only its beauty, strength and durability, but also its widespread availability as a building material. From the historic to the strange, here are some examples of interesting masonry structures in America. Pueblo communities in the southwest: The dwellings of the ancestral Puebloans rank among America’s oldest stone structures. Some of these masonry buildings were freestanding while others were constructed directly into cliffs. 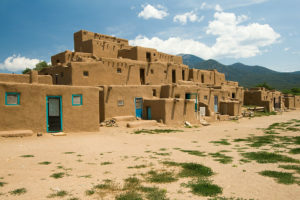 These adobe houses made extensive use of rock rubble and dry-stone walls as masonry materials. Many are still standing, and that’s a testament to the amazing durability of stone masonry in the construction of buildings. 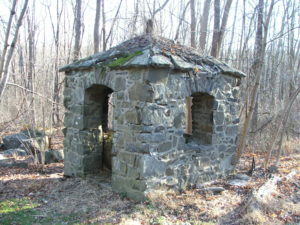 Fieldstone structures in the northeast: In the Revolutionary Period (1775-1825) and well before it, farmers in New England came across large quantities of fieldstone when clearing their land. A plentiful resource, fieldstone soon was used to build chimneys, retaining walls and bridges, among other masonry structures. First masonry home in New England: It wasn’t long before the practical settlers in the northeast began building larger structures of masonry. Constructed in 1639, the Henry Whitfield House in Guilford, Connecticut is the oldest stone house in New England. Featuring thick stone walls, this example of an early masonry building also served the community as a fort. 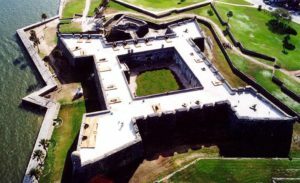 The oldest masonry fort in the continental U.S.: Construction of the Castillo de San Marcos in St. Augustine, Florida began in 1672. It was largely completed by 1695. Possession of the fort has changed many times, with all of the transitions peaceful! These included four different governments of Spain. Ownership also extended to Great Britain, the Confederate States of America and the U.S. — which currently maintains the old masonry-built fort through the National Park Service. 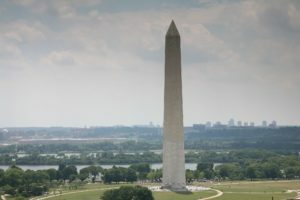 The tallest freestanding masonry structure in the world: Completed in 1884 — 101 years after Congress authorized it — the Washington Monument in Washington, D.C. is an obelisk (i.e. pillar) that stands 555 feet high. Built of marble, this masonry monument is topped with solid aluminum — a rare building material at the time of its construction. 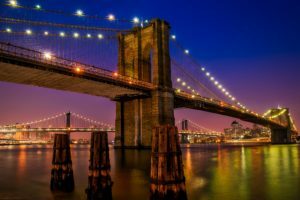 An iconic, world-famous bridge: Linking Brooklyn and Manhattan, New York’s Brooklyn Bridge, is considered one the most complicated engineering feats in modern history. Built of limestone and granite, construction began in 1869. When the masonry structure opened 14 years later in 1883, it was the world’s largest suspension bridge … and an immediate sensation. More than 150,000 people crossed the bridge on its opening day alone! America’s own Stonehenge: England isn’t the only location for mysterious masonry structures. 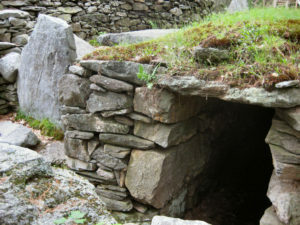 Mystery Hill is a 30-acre site of stone walls, standing stones and underground chambers in North Salem, New Hampshire. This Stonehenge-like masonry complex dates back 4,000 years. Like its stone-built counterpart in England, the monoliths are astronomically aligned. This very early example of masonry construction in America can still serve as an accurate yearly calendar!